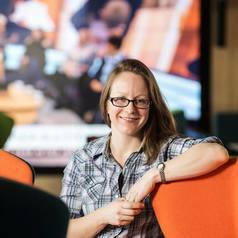 Since 2016, Dr Em Temple-Malt has been undertaking collaborative research with fellow colleagues from Staffordshire University that aims to better understand how to break the cycle of domestic abuse. In 2016, Em Temple-Malt, Sarah Page and two L5 student research assistants from Sociology at Staffordshire University completed a qualitative study exploring improvements that could be made to domestic abuse service provision for perpetrators with the intention of reducing offending rates. The study included interviews with 12 professionals who work in domestic abuse services and 4 perpetrators who were engaged in rehabilitative programmes in Stoke. A report (Page and Temple-Malt August 2016) outlining the study, key findings and recommendations was distributed to members of the Safer City Partnership in August 2016. A report (Temple-Malt and Page 2018) Breaking the cycle of Domestic Abuse Reoffending: Research Summary for HMPPS was disseminated to NOMs. A Domestic Abuse Forum Theatre and Discussion Dissemination Event was hosted at Staffordshire University in January 2017. Delegates (incl. professionals who work in domestic abuse services, members from the Safer City Partnership, academics and students from Staffordshire University) listened to a presentation on the study’s findings and commented on the feasibility of our recommendations. Next, audience members watched L6 Applied Theatre Students perform the play ‘On the Edge’ (Christie 2016). A piece of forum theatre informed by key findings from our report along with a perpetrator ‘case study’. The forum theatre piece was designed to encourage the audience to identify and offer suggestions for where productive and feasible changes might be made to the criminal justice system to support the rehabilitation of perpetrators of domestic abuse. Using forum theatre allowed the audience to visualise the potential impact that their suggested interventions could have on existing domestic abuse service provision. Delegates evaluation of the study recommendations and suggested interventions arising from the forum theatre piece made by professionals were captured on video, to be analysed later (see section 9). Delegates also took part in a world café event designed to stimulate professional dialogue, recognise good practice and suggestions for where small, subtle changes can be made to the way professionals respond to domestic abuse, with the idea that in the long-term, act as part of a broader strategy to help reduce domestic abuse offending. Over the course of 2017, some provisional research in the form of a series of Healthy Relationship World Café events to explore the practical aspects of what healthy relationship education in schools might look like, who teens would listen to and the ways this might contribute to a reduction in domestic abuse. Preliminary world café data indicates that the most effective way of getting teens to recognise and listen to messages about toxic and healthy relationships is giving them the opportunity to engage with visual performances about domestic abuse because it is visual, memorable and kinaesthetic – and the messages about avoiding toxic relationships are more likely to be memorable and enduring as strategies to recognise abuse and to seek help from agencies. The project proposed to extend the existing RwF programme to 7 weeks, where the programme begins with a short piece of forum theatre incorporating an additional week at the beginning of the programme that features a short piece of forum theatre that focuses on unhealthy relational practices. Historically, drama and forum theatre have been used in schools to tackle a range of topics because the method helps provoke productive discussion and supports behavioural change. Moreover, beginning the RwF programme with a piece of drama allows learners to ‘actively’ learn, which is in line with best pedagogical practice and should encourage learners to be more receptive to the educative provision being delivered by the RwF practitioners. In April 2018, a research team from Staffordshire University presented 3 theatre pieces to an audience of school safeguarding leads, PHSE teachers from across Stoke-on-Trent, and a small group of young people from the hosting school. The aim was to gain feedback from attendees to develop the theatre pieces into relevant and impactful short productions that will accompany the Relationships without Fear programme during a pilot in 2018-19.